Sanford, FL – August 28, 2015 – Wharton-Smith has been selected as construction manager of the new West Orange High School Relief project for Orange County Public Schools (OCPS). The 385,000-square-foot, multi-story prototype high school will be constructed on a 68-acre site in Windermere and will accommodate approximately 2,800 students. The new school is being built to alleviate overcrowding mainly at the existing West Orange High School and will provide a state-of-the-art facility for the Orange County community. 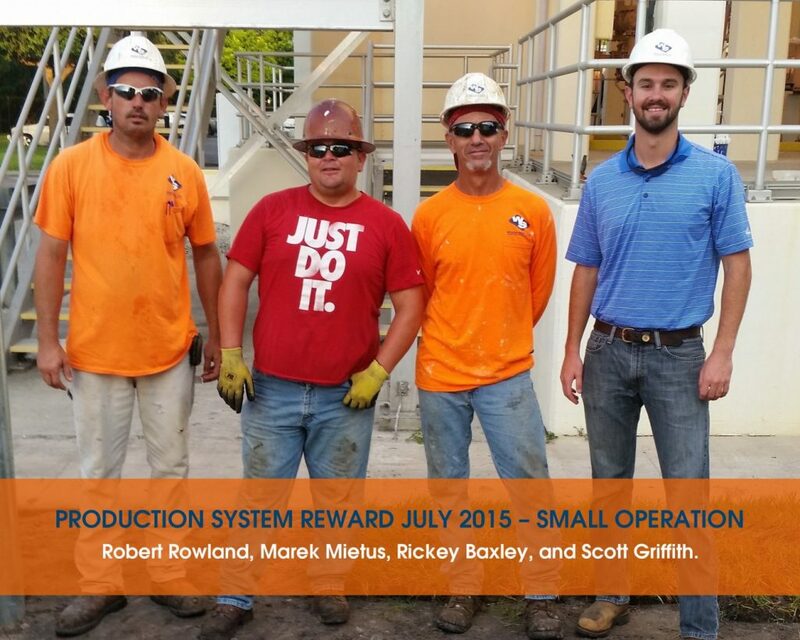 August 26, 2015 – Tampa, Florida – The winning small operation plan for July belongs to Robert Rowland, Marek Mietus, Rickey Baxley, and Scott Griffith from the St. Petersburg NEWRF Plant Improvements project in the Tampa Division. Click here to see the full plan. August 17, 2015 – Sanford, Florida – Congratulations to Wharton-Smith for ranking No. 8 in the Orlando Business Journal’s Golden 100 list of Top Privately Held Companies. Leaders of the region’s top privately held companies joined Orlando Business Journal for its 2015 Golden 100 event at the Hilton Orlando hotel on Friday, Aug. 14. Clyde Burgess, Vice President, Environmental Preconstruction Services, received the award on behalf of President and CEO Ron Davoli. 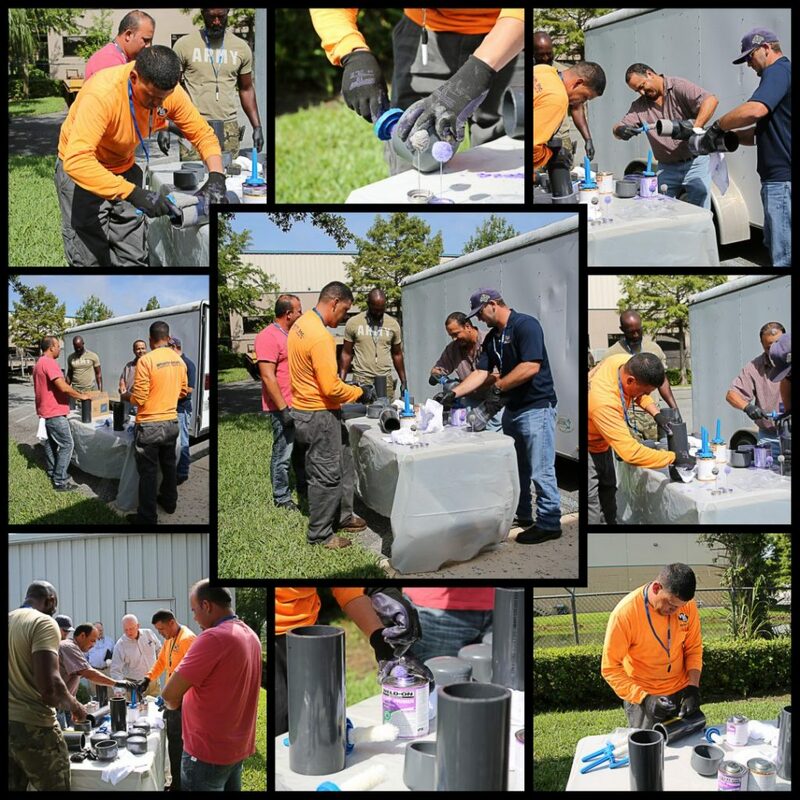 July 29, 2015 – Sanford, Florida – The Quality Department offered a solvent welding training session by Weld-On representatives. The session included safety precautions, set and cure times, causes and repairs of failed joints, and a hands-on test for each participant. July 9, 2015 – Sanford, Florida – Watch the “Walls Up, Floors Down” video. It shows the progress being made on two Wharton-Smith projects at the University of Central Florida (UCF). The Wayne Densch Center for Student-Athlete Leadership will serve as the headquarters for UCF student-athletes’ personal, professional and academic development. It will provide operations space to serve more than 500 student-athletes including a multi-purpose classroom, which will hold 200 students, a computer lab, tutoring and mentoring rooms, study space and conference and resource rooms. 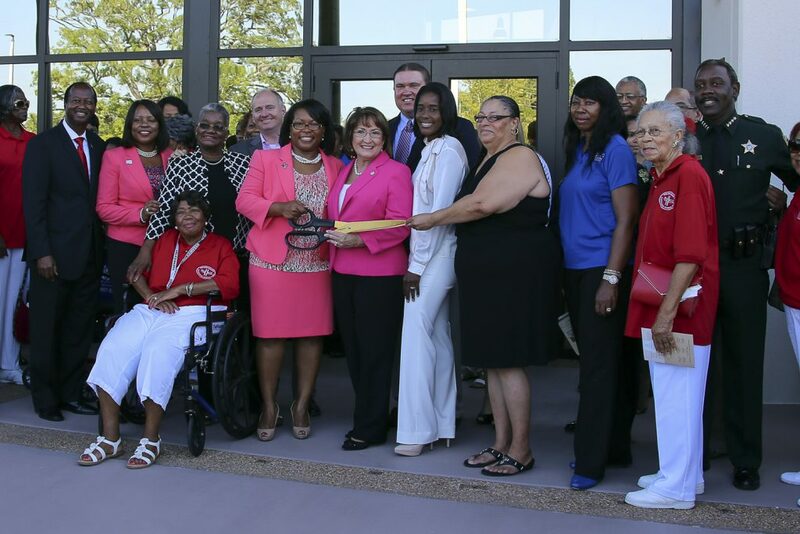 Sanford, FL – June 22, 2015 – More than 200 people attended the opening at the new Holden Heights Community Center on June 18, 2015. In a neighborhood challenged by crime and joblessness, the 12,612 square foot facility offers hope within its classrooms for vocational training, its fully equipped computer lab, and its space for adult and after-school programs. “The center will connect children from poor families to the technology they will need to compete for college scholarships and good jobs,” Orange County Mayor Teresa Jacobs said. 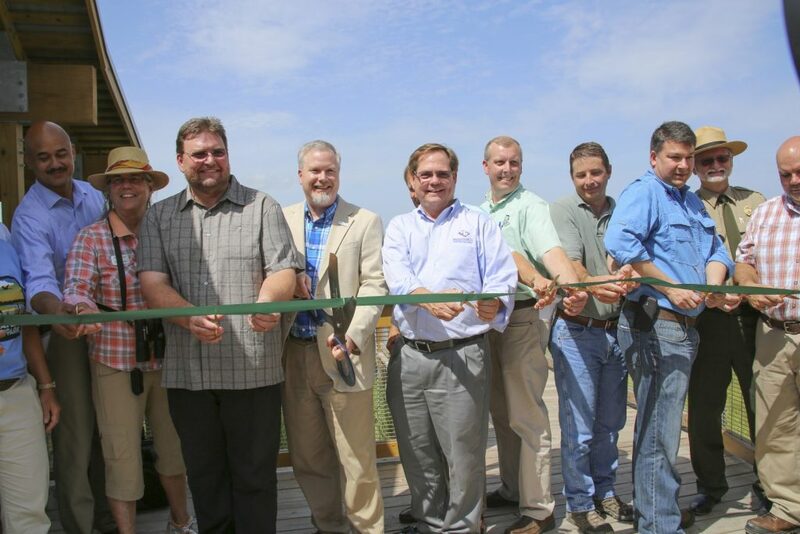 Sanford, FL – June 15, 2015 – Wharton-Smith is proud to have been a partner of the new Sweetwater Wetlands Park in Gainesville. The project team joined with dignitaries and special guests from the City of Gainesville, Gainesville Regional Utilities (GRU), design team members of Jones Edmunds, and various funding, regulatory, and contributing partners last week to celebrate the ribbon cutting. See pictures from the event on our Flickr site.